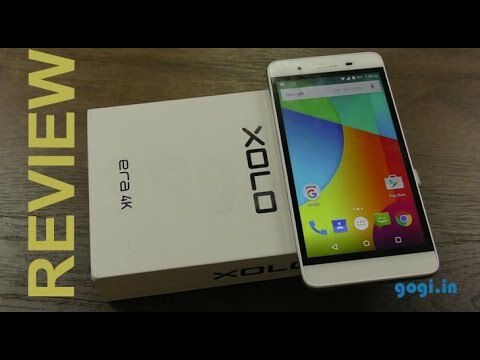 If you own Xolo Era 4K, please do leave your feedback too. The screen on the Xolo Era 4K is a 5 inch IPS panel with a resolution of 1280x720. This gives the phone a pixel density of 294 PPI, which is adequate in the price range. Powering the device is a MediaTek MT6753 SoC, the same chipset that has been used in several phones in the competition including the InFocus Bingo 50. The is 2GB RAM to help you breeze through your multitasking needs. Internal storage is 8GB, and you do have an option of expanding the same via a MicroSD card. The phone supports external MicroSD card up to 32GB. The rear camera is 8 MP while the front facing camera on the device is 5 MP. There is a flash light included too. On the software front, the Xolo Era 4K comes with Android 5.1 out of the box. The Xolo Era 4K is a dual SIM phone and comes with other connectivity options including WiFi, Bluetooth, FM and OTG. The Era 4K is available in both, blue and white colors. 1.Does the Xolo Era 4K work with Reliance Jio Network? Ans: No, the Xolo Era 4K does not support VoLTE feature and only 4G works when utilizing Jio network. 2.Can this phone's memory be expanded? Ans: Yes, this phone's memory can be expanded by an additional 32GB using a Micro SD card. Ans: No, the battery on the phone is non-removable. 4.Will this support my Nano SIM card? Ans: No, the Xolo Era 4K has a Micro SIM slot. Ans: The phone has a 8-megapixel primary camera and a 5-megapixel selfie camera on the front. The camera has an average performance for the price range. It is enabled with Dual LED Flash which provides good image quality in low light conditions. 6.What is the internal storage size available to install apps? Ans: The phone has approximately 5.31 GB of User Available Internal Storage to install apps. 7.What type or charging connector do I need? Ans: The Xolo Era 4K uses a MicroUSB connector and will work well with your existing MicroUSB cables. 8.Does this phone have a hybrid SIM slot? Ans: No, the Xolo Era 4K does not have a hybrid SIM slot.